Do you have a blank wall? do you want to decorate it? the best way to that is to create a vertical garden wall inside your home. A vertical garden wall, also called a living wall, is a collection of wall-mounted plants. 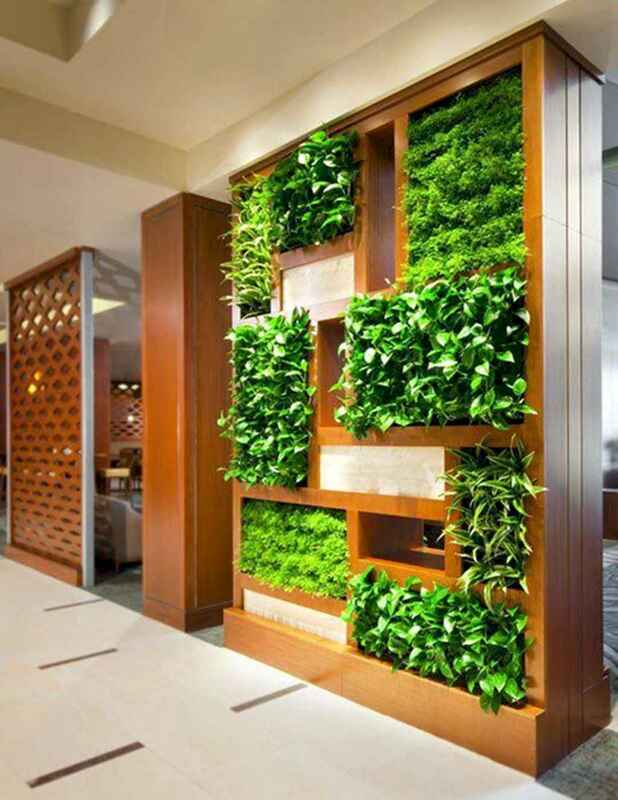 Vertical garden walls have become very popular in indoor designs. In fact, currently, they are the most trendy indoor decoration. They are the perfect way to bring some nature indoors. Vertical garden walls are not trendy only because they are beautiful and attractive, but also because they improve the air quality of your home. No wonder you find them in the lobbies of hotels or corporate offices and possibly even the atriums of airports and shopping centers. Don’t worry about the space they need, they vary in size, thus, they fit all any space available. These vertical installations can vary in size and shape and offer a refreshingly green space experience that functions as living wall art while providing all the benefits of nature. Therefore, they are prevailing in cities where green and space are limited. Take a look at these outstanding ways to create a vertical garden wall inside your home.